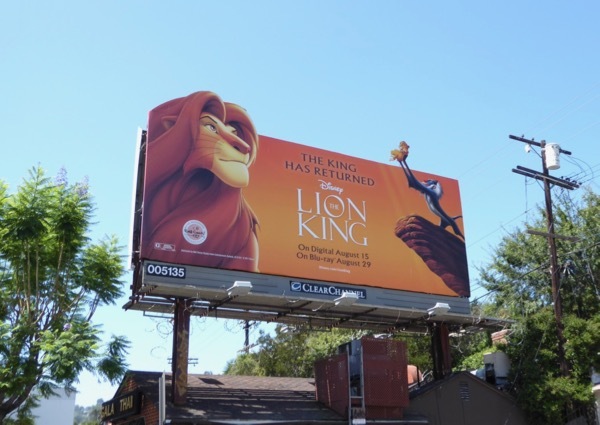 Looks like it's time for a new generation of movie goers to discover the 'Circle of Life' or for nostalgic fans to relive the magic on the big screen, in 3D no less, as Disney's The Lion King returns to cinemas for a short spell this September. 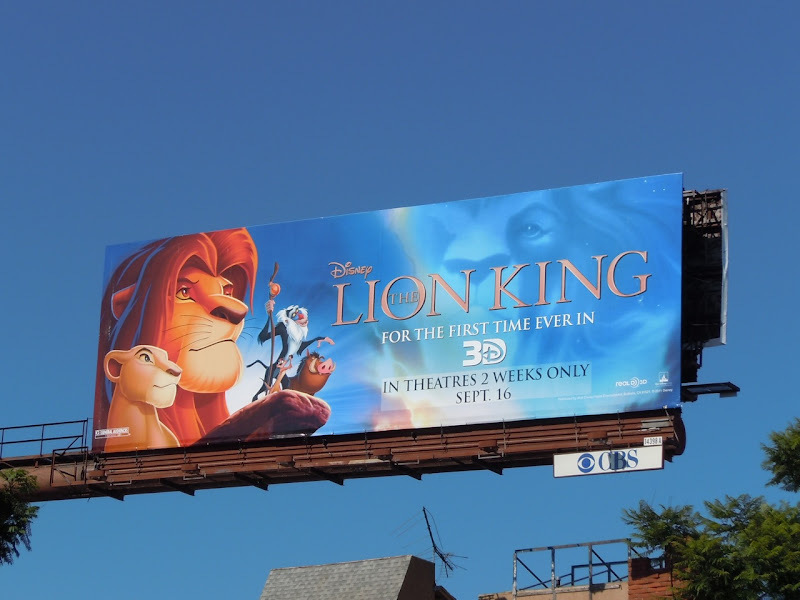 This colourful and majestic looking billboard for the animated Oscar-winning favourite from 1994 was snapped along Santa Monica Boulevard on September 7, 2011. 'Hakuna matata' indeed. UPDATED: Disney is getting as much mileage as they can with their animated version of The Lion King, re-releasing on Blu-ray and digital before the live-action version debuts in 2019 courtesy of director Jon Favreau. 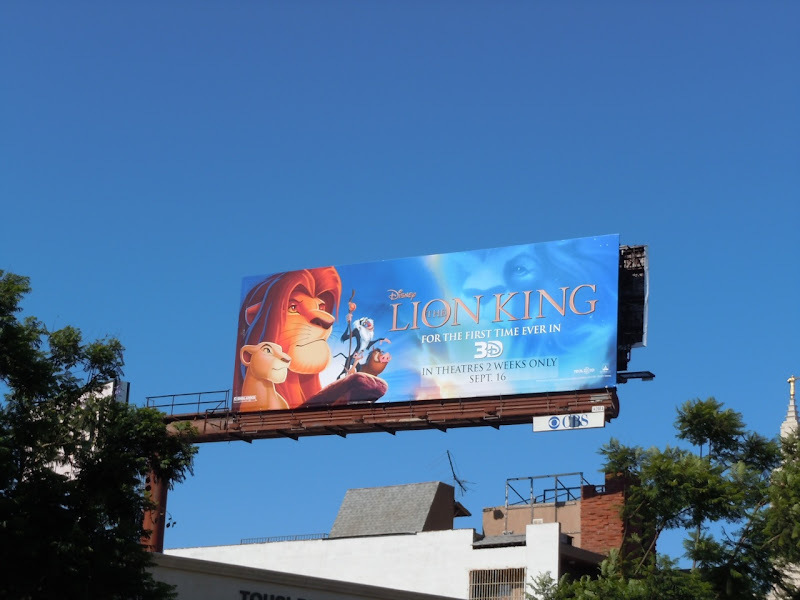 This special extension cut-out billboard for the animated feature film was spotted along Barham Boulevard on August 19, 2017.